LEXINGTON, Ky. (Jan. 18, 2019) — The University of Kentucky School of Music welcomes cellist Colin Carr to campus for a concert of music by Johann Sebastian Bach 7:30 p.m. Tuesday, Jan. 22. In addition to his concert, Carr will host a masterclass 10 a.m.-noon Wednesday, Jan 23. Both events, which are free and open to the public, will be held at the Singletary Center for the Arts Recital Hall. Throughout his career, Carr has traveled the world as a soloist, chamber musician, recording artist and teacher. 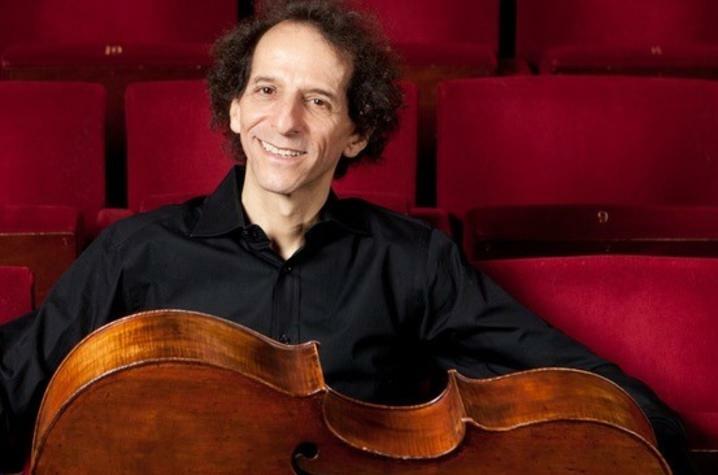 He began playing the cello at the age of 5, and later studied at the Yehudi Menuhin School. Carr has served as a faculty member at the New England Conservatory, the Royal Academy of Music and Stony Brook University, New York. In 1998, Oxford University's St. John's College created the "Musician in Residence" post for him. Carr has played with major orchestras, including Royal Concertgebouw Orchestra, the Philharmonia and BBC Symphony, among others. Additionally, he performed throughout the United States and Europe with his duo partner, Thomas Sauer. And, as a member of the Golub-Kaplan-Carr Trio, he has recorded and toured extensively. Carr has won numerous awards, including first prize in the Naumburg Competition, the Gregor Piatigorsky Memorial Award and second prize in the Rostropovich International Cello Competition.